We were absolutely thrilled to take part in an international event with APPILL and we are highly satisfied with the success of the presentations we gave. We managed to attend the event keeping exactly to our roadmap and the development stages we had estimated over six months ago, which is a source of pride for such an innovative product. Let’s take one step back for a “Previously on…” recap. APPILL is an IOT device which we have created to help patients on complex drug treatment – i.e. with several medications per day. APPILL administers the right pill at the set time and can be remotely configured via Wi-Fi. What is more, APPILL notifies the caregiver when doses are accidentally skipped. This is why, we strongly wanted to attend the Mobile World Congress 2018 and hopefully with an important business partner. We believe that technology has to serve people and specifically improving people’s life is our main objective. This project has always been the apple of our eye and this is why we launched a crowdfunding campaign on Kickstarter between November and December 2017 which was favourably met: the backers, who supported us and who we will always be grateful to, gave us the chance to find two major business partners for APPILL’s next steps – ITALTEL and ASSINTEL. ITALTEL had already engineered Doctor Link, an ecosystem which seems to be exactly the thing needed to further strengthen APPILL’s features. As soon as ITALTEL learnt about us, they stated their willingness to support our project. Doctor Link is a web-connected healthcare operating system which enables constant exchange of information between patients and their general practitioner but also between the attending doctor and the specialists involved. As a result, patients are consistently assisted and their medical records are shared for best treatment. In December 2017 ITALTEL added us to its business partners and this in turn gave us the opportunity to integrate Doctor Link within APPILL. From December to early March our challenge was to have the device work within the ecosystem and have everything ready for the Mobile Word Congress 2018. 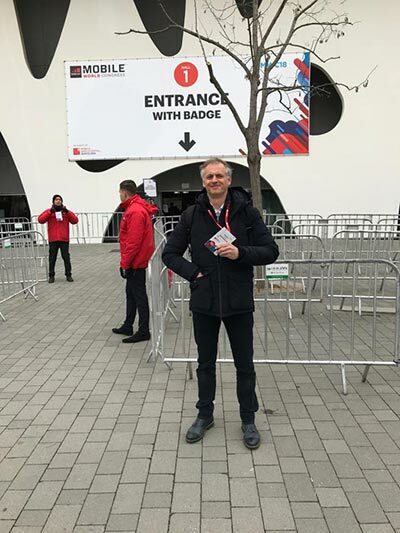 Confident of the integration attained, we went to the Mobile World Congress 2018 in Barcelona where we were surrounded by technology and an atmosphere of great innovation. The new automotive applications based on 5G implementation were particularly exciting, particularly the new generation self-driving cars. Visiting a futuristic exhibition such as this one means also getting to know tomorrow’s technology: Samsung S9+ is just an example – a little gem we tried in sneak preview. However, what thrilled us the most was to know that our APPILL was in the very pavilions which were a source of amazement for the visitors; this goes to show that the future for connected medical care is drawing closer and is only a finger touch away.